We will be exploring Ancient Egypt in full glory next year when we study from the beginning of time. For now will do a quick review. The modern world is filled with conflict and some children are hearing more about Egypt. In an effort to understand the news, conflict and its impact on us we have decided its a perfect time to explore this country. Egypt, the most populous country in the Arab world. 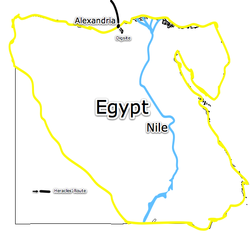 Egypt is located in North Africa and is bisected by the Nile River. It shares a border with Israel, Sudan and Libya. 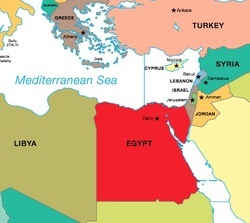 It also borders the Mediterranean and the Red Sea. 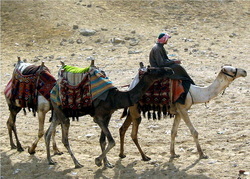 Egypt has been described as one of the world's great civilizations. The Suez Canal connects the Mediterranean Sea and the Red Sea through Egypt. Currently it is 193 miles long, 79 ft deep and 673 ft wide. Egypt achieved full independence from Great Britain in 1952. 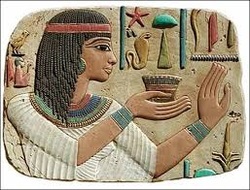 Modern People: The people of Egypt a culture built upon for thousands of years. Just as in other societies, today's Egyptians have strong family values and much faith in religion. Some of them live in the big cities, while others live in rural farming areas. Most Egyptians today live closely to their extended family, especially following their father's paternal lines. Nile video - just a collection of images that will allow you to narrate the story yourself. Oil and natural gas are two of Egypt's major industries. Chemical and steel production are also important industries. 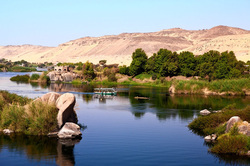 The banks of the Nile River provide rich soil for farming dates, grapes and cotton. Other industries include textiles and food processing. 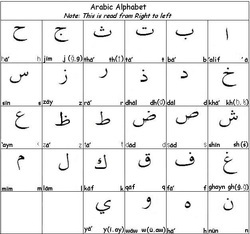 Arabic is the primary language of Egypt. Here is a youtube video that shows how the letters are written its a very fluid artistic writing style. Zoom in the World on Google Maps to the Nile River. Print and fill in homeschool creations map of Egypt. Comparison chart of Islam religion and Christianity is found here. Learning about Islam Download is a free resource and requires registration. This resource is 60 pages and HIGHLY recommended. Video comparing Islam, Christianity and Judaism. I am a FAN of pinterest. Here is a WONDERFUL board with lots of great projects. As we complete them we will give reviews or show step by step how we completed them on our JustAddArt.Weebly.com sister site. give yourself credit for your hard work. Your first name, age or grade.